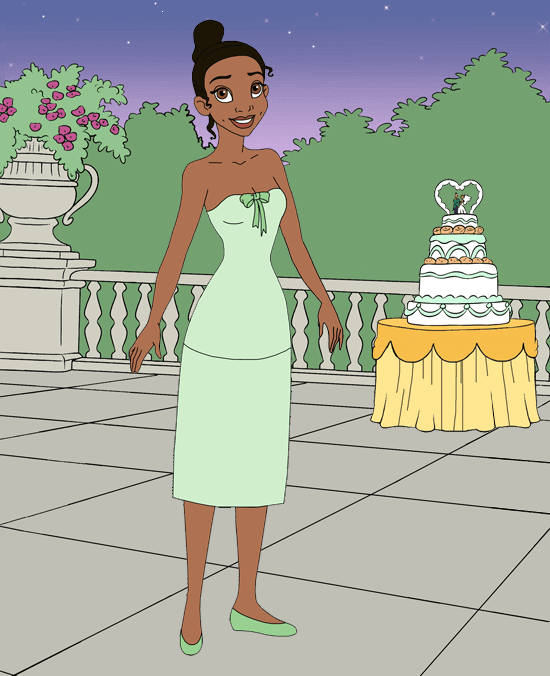 Dress up and make up Tiana for her wedding to Prince Naveen! Mix and match dresses, veils, crowns and other hair accessories, bracelets, earrings, bouquets and shades of makeup. Tiana and Naveen married twice: once as frogs in the bayou, with Mama Odie officiating, and again as humans in New Orleans before family and friends.